Can I update my existing terms? 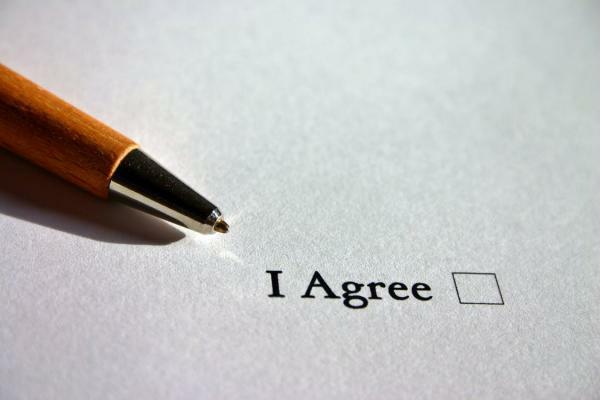 As a business owner or employee, from time to time you might need to change your terms of business and/or the contract your clients agree to when they are using your products and services. You want to change your payment terms, e.g. from a one-off payment to monthly billing. You want to offer a temporary discount or sales promotion on your product or service. The cost of providing your product or service has changed and you need to increase prices. You want to charge more to employ more staff, raise wages or increase company turnover. Your supplier has changed their terms and your terms need updating to match the changes. Providing you give your existing clients plenty of notice before the changes take effect you can make changes to your terms as and when necessary. Typically, you would allow 30 days before any changes take effect. It’s common for banks and building societies to make changes to their terms and you’ll receive an email or letter saying changes will take place, usually accompanied by a copy of the new terms or with a web link to view the new terms online. As a customer you have the right to reject the changes, but you would no longer be able to use the product or service after the date the new terms come into effect. This applies to your customers when you make changes to your terms as well. If you have repeat customers, or customers using a subscription service, then it’s good practice to contact your customers by email or postal letter advising of any changes to your terms. You’ll also need to update the terms listed on your website, especially if agreeing to your terms is a condition of someone ordering or using your product or service. This also ensures any new customers agree to your new terms from the moment they order from you. Whilst you can make the changes yourself, it’s worth getting any changes reviewed professionally to check you haven’t missed anything or opened yourself up to any problems. I can help check through your terms and make sure they cover the things you need. For more information and prices, please contact me.